Squeezed for space? 6 storage solutions to optimise space in your kitchen. Want ample storage in your kitchen but don’t have a lot of space? It’s amazing how quickly storage areas fill up and you’re left with growing clutter in your kitchen. 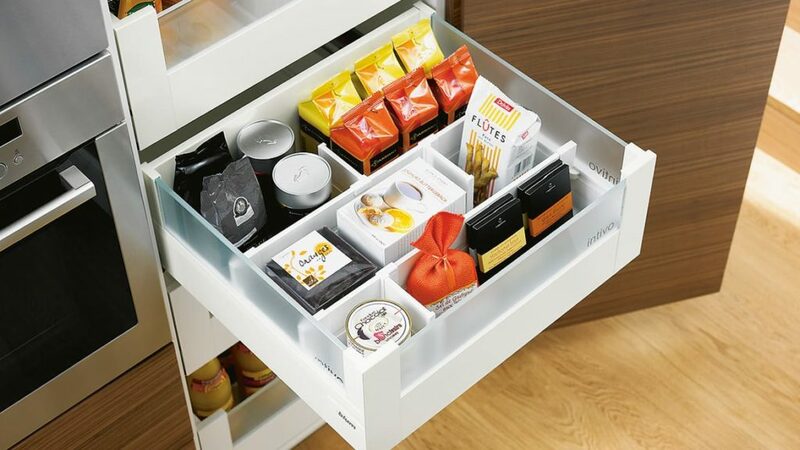 Clever storage solutions are a must for modern kitchens. See below 6 of our favourite kitchen storage solutions, perfect for maximising the space in any sized kitchen. Corner cupboards have a bad reputation for being awkward spaces. With a Space Corner Cabinet, corner spaces can be put to optimal use, creating ample storage. Fully extendable drawers provide clear visibility of all your contents and high back and side panels keeps everything in place. 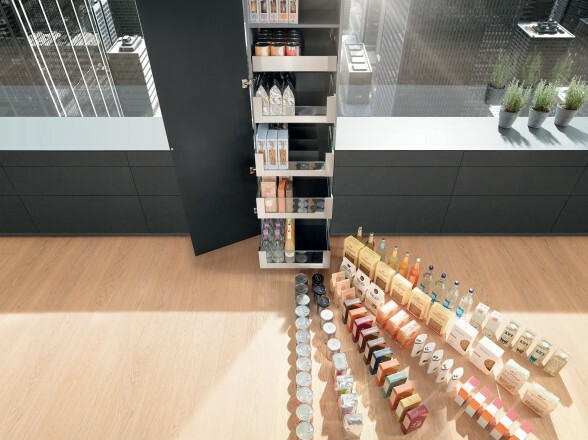 A well-designed pantry is a must for any kitchen and the Space Towerpantry is the ultimate space saving solution. Providing generous room for provisions, the flexible design can be tailored to different individual needs. Full extensions can be opened individually providing easy access from three sides. Full pull-outs are ideal for storing provisions. Designed to suit any space, this Base Cabinethas spacious full extensions that give clear visibility and easy access to provisions. They can also be combined with electrical or mechanical motion support system. For the ultimate place to keep narrow utensils such as bottles, chopping boards, spices and baking trays, you can’t go past Narrow Cabinets. 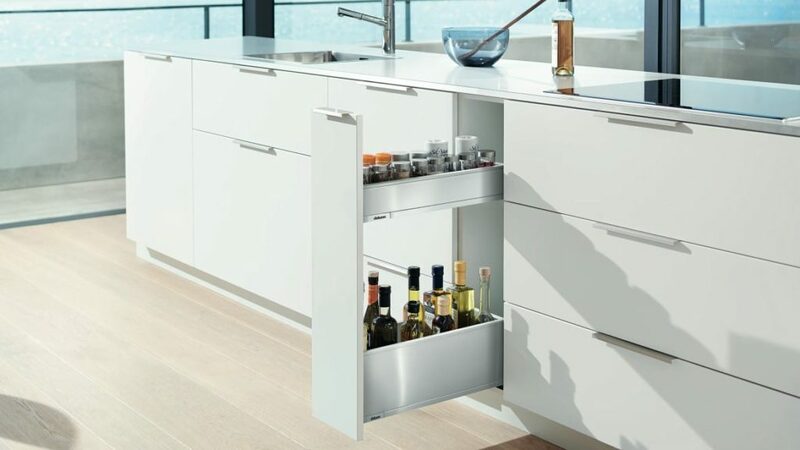 Utilising the smallest space in kitchens, this storage solution would be practical addition for any kitchen. A small kitchen needs to have every inch of space utilised precisely. Creating a useful storage space around your sink with a U-shaped pull-out Sink Cabinet means you won’t waste any space! Organisation is often half the battle when it comes to optimising storage space. With flexible Orga-line Inner Dividersstorage space can be individually tailored to keep everything nice and tidy and easily accessible. Dividers not only help maintain organisation but can ensure contents don’t spill. To explore our full range of storage solutions and cabinetry designs, book a free kitchen design appointment. Click here for more information.